Latest News Coverage of Indus Cartel Pvt. Ltd.
THIRUVANANTHAPURAM: Worried by the rising crime rate against women, especially those using public transport like the hapless Soumya, the Kerala State Women’s Development Corporation (KSWDC) is mooting self-defence measures that include use of pepper spray and pepper guns. The project is being rolled out in the next four months under the Kerala State Flagship Programme on Gender Awareness, 2011-12. “The Soumya murder case was an eye-opener for everyone in society and it was the main spark behind this initiative. Self-defence measures like martial arts and products like pepper spray or pepper gun will help women immensely to protect themselves from sudden attacks,” said Anaz AK, business development executive, KSWDC. “We are also trying to ensure the participation of NGOs working in the field of women empowerment. We have already invited expression of interest from experts in the field of self-defence programmes/ products and the project would take off in this financial year itself. We aim to build confidence among girls and women and make sure they can protect themselves against the sudden attacks or dangers on the way to school, colleges or work,” he said. Rana Singh, chief executive of Bangalore-based Aax Global that manufactures Cobra Spray - a pepper spray- and a pioneer in the field, said the Kerala initiative is a step forward to women empowerment. “Pepper spray is 20 times stronger than chilli powder and a second’s burst is enough to incapacitate the assailant for 30-45 minutes. The immediate result is a severe burning sensation in the eyes as the liquid penetrates the skin pores, forcing the assailant to keep his eyes closed for a while. The spray also causes a very heavy irritation in the mucus membrane inside the nasal cavity, thus giving the victim sufficient time to escape. Also, it does not cause any permanent injury or scars,” Singh said. Sujamol Rajan, working with Alliance Cornhill in Technopark, who is a frequent user of public and private transport, said many women would go for self-defence courses and buy such products, given the current scenario where crime against women is on the rise. “The situation has changed in the state with many women now travelling alone for work and study purpose. Working women have to travel alone at odd-hours and self-defence is something that helps us build our confidence. It is a welcome initiative,” she said. Mumbai : After the Delhi gangrape exposed the gaping vulnerability of women to anti-social elements, citizens have turned to pepper sprays to ward off aggressors. Major outlets have reported an exponential increase in the demands of pepper sprays over the course of past four weeks. “While demand spikes up every time there is a major crime against women, this time we have seen an unprecedented increase. We have sold over 300 units as opposed to the usual demand of 30 per month. There are also many corporates placing bulk orders and asking us to conduct self-defence workshops,” said Rajat Prabhakar, director of Mumbai-based Indus Cartel Pvt Ltd that deals with security equipment. Pepper sprays are non-lethal aerosol- based sprays with onion and capsicum base. When sprayed on attackers’ eyes, it induces intense pain and temporary blindness. Prabhakar’s company, like other major providers, sells pepper sprays online. While several Western countries sell them at medical stores, the trend is yet to catch up in Mumbai. “At present, the sprays cost upwards of Rs 300. The reason for the high price is the low turnover. There isn’t a lot of awareness about it,” said Virendra Singh, director of the company selling Hawk Pepper Spray. Singh’s company has seen demands shooting up by 3-4 times, mostly from the metros. Though a handy tool for self-defence, the manufacturers maintain that one must familiarise herself with how to use a spray effectively. “There are many misconceptions about pepper sprays. Some people think spraying it makes the attacker unconscious. The basis of purchasing a spray must be the range. Longer the range, the better it is. The user must be cautious not to spray from too close a range or it may backfire,” he said. “Pepper sprays are absolutely legal and even recommended to carry. At the same time, women must learn the basics of judo-karate to protect themselves before the police can step in,” said DCP Ambadas Pote of the Crime Branch. Pepper sprays, however, aren’t the panacea for all sexual harassment. Sometimes, even carrying one can prove ineffective like the case of Nancy B Varghese, a Second Year BMM student. “I was once caught in a crowd of people walking on a bridge on Dadar station. While walking towards the exit, I felt someone groping me from the back. I reflexively tried to slap his hand off. I ended up punching his groin. I did have a pepper spray with me but in crowded places, you have to rely on your reflexes,” said Nancy. After the heinous attack on a physiotherapy intern in Delhi, pepper sprays are flying off the shelves with more and more women taking their security in their own hands. Pepper spray dealers said there is a whopping increase in the sales of pepper sprays in the past few weeks- ever since the December 16 incident of the gangrape of a 23-year-old in the city. Usually we sell about 10 to 20 cans per month. But after the December 16 incident, I'm selling almost 50 pepper spray cans everyday," Manish Mitra, a dealer said. He also said cans come in different sizes and the price ranges from Rs. 150 to Rs. 500. A normal pepper spray can usually has 35 grams of pepper and expires after three years. The mix of pepper and other chemicals cause a burning sensation in the eyes and on the skin. An advertisement of a "self defence pepper spray" Bodygard goes on to detail what else it can do -- "Inflame his throat; Inflame his lungs; Make him temporarily blind... Cut off all his functions except breathing". It is just not young working women who are relying heavily on pepper sprays for their safety. Many companies are also making bulk orders - to instil security in their women employees who work late in the night. "We have taken the issue of employee safety very seriously. 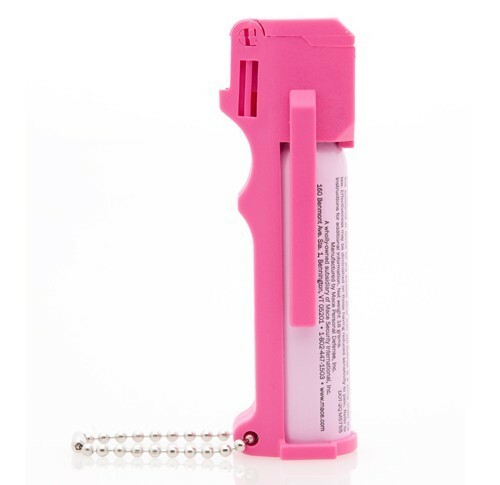 We have ordered pepper sprays for our women employees in our company. We will also inform them how and when to use it," a senior manager of a BPO in Noida said, pleading anonymity. Police said they have no problem. "Carrying knives, chilli powder or sprays will help women defend themselves against any man who may harass them. Any woman can attack the attacker in self-defence. But it should not be used without provocation and there should not be any misuse. We don't mind citizens taking such self-defence measures. A woman can raise an alarm after attacking (with the spray) and then call for police help," Deputy Commissioner of Police (North) Sindhu Pillai said. Many women said they are also buying specialised pepper sprays. "I searched online and finally got a chilli powder pepper spray couriered from Mumbai. Just a pepper spray will not be enough. All my friends are turning to pepper sprays. I am sure very soon specialised pepper sprays will will be soon sold in ordinary shops," Mona Singh, who is working in a multinational company, said. She said the December 16 attack on the woman has created so much fear among her friends and colleagues that their parents are pushing them to take self-defence classes. Nazia Rehman, who works as a human resource manager in a private company, said her parents are on tenterhooks whenever she comes home late. "It is difficult to make them understand. So I have bought a pepper spray. That has reassured them a bit," she said. "The incident has shaken all of us. It has also added to the fear and parents are the first one to add to the fear. We cannot stop working or going out. So the best way is to rely on oneself for protection," Rehman said. Added Deepali Sharma, a student: "Pepper sprays are definitely helpful. We can use this in adverse situations. The spray shoots six feet so you can keep a safe distance from your attacker also." The young woman, who was tortured and gang-raped in a moving bus on December 16, died on December 29 in a Singapore hospital. PUNE: The city unit of the Nationalist Congress Party (NCP) on Thursday submitted a memorandum to the city police and the Pune Municipal Corporation (PMC) demanding a comprehensive plan to install a network of closed circuit television (CCTV) cameras across the city. City unit chief and party MP Vandana Chavan said, "The NCP delegation met police commissioner Gulabrao Pol and municipal commissioner Mahesh Pathak. We demanded that the police and the PMC work out a plan for a CCTV camera network across the city. As many as 1,000 camera units will be needed." With infrastructure increasing in most of Chandigarh’s private schools, principals have found it difficult to monitor activities both inside and outside the classrooms. To solve the problem schools have now turned to CCTV cameras which are connected to Digital Video Recorder (DVR) systems, that now enable principals to keep a tab on everything from their offices. Over the past year, the CCTV cameras have become a common feature in nearly 55 of the total 63 private schools in the city. They are primarily installed in corridors, classrooms, playgrounds, library, reception hall, laboratories and the entry gate. For the principals the cameras have emerged as an effective tool in ensuring discipline, as they feel that the cameras create a psychological impact of ‘being under surveillance’ not only among students but teachers and non-teaching staff. the Director told Newsline: “The principal cannot be present everywhere all the time. But the cameras have done away with this limitation since everyone in the school, especially the students, gets a sense of being under surveillance and hence maintain discipline”. 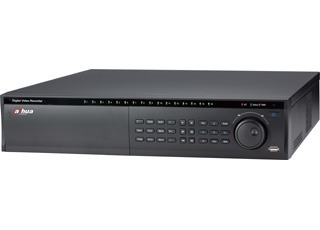 Additionally, the DVR allows authorities to review events that have occurred over the previous seven days. This allows school heads to investigate complaints of bullying, misconduct or scuffles among students or even teachers by reviewing the stored footage. Mumbai: Additional commissioner of police (central region) Praveen Salunke on Saturday said the decision to seek verification certificates from domestic help, guards and drivers is aimed at identifying those who try to conceal their identity while applying for a job. "Also, housing societies and other establishments have been asked to install CCTV cameras," he said. Salunke said he has instructed officials of 20 police stations (from Byculla to Kurla) in his jurisdiction to visit housing societies as well as malls, corporate houses and security agencies to collect the background details of their guards and other employees. Other parts of the city, too, will witness a similar exercise. Additional commissioner (West) Vishwas Nangre-Patil said his region too would witness the drive. "The zonal DCPs collected details of more than 1,000 security guards, domestic help and drivers from the western suburbs after an elderly woman was killed in Juhu last year. Some of these people change their names and hide their antecedents to land a job as they fear they may not land a job if they reveal their details," he said. Nangre-Patil reiterated that if any security agency was found violating the guidelines, the matter would be taken up with the joint commissioner of police (administration) for suitable action. An unidentified thief, who seems to be in his early 20s, was caught on camera early Thursday morning as he calmly stole the stereo from a car parked inside an Amboli society in all of 90 seconds. During this brief period (from 03:46:28 to 03:47:57), the thief first walked up to the watchman’s cabin and locked him, and then strolled towards the parking area, cut open windshields of two cars and decamped with expensive stereos. According to police, the incident came to light around 3.45 am on Thursday when the anti-theft sirens of a couple of cars parked inside Bharti Apartments in Amboli started blaring. This immediately woke up society’s watchman Hariram Gupta, who tried to rush out of his room only to find his cabin’s door locked from outside. He kept shouting for assistance but to no avail. As the sirens continued to blare, the residents too woke up and rushed downstairs to check what the ruckus was all about. They found that the windows of two of the cars were neatly opened by a glass cutter, and the stereos were missing. Then they realised that the watchman had been locked up in his cabin. “The thief was really sly. The footage shows that he had done a recce of the building 10 minutes before the theft. He knew exactly where the watchman was. He knew which cars had most expensive stereos as he has broken into only those cars. He locked up the watchman as he knew the sirens would wake him up,” says Frank Menezes, whose son’s car was broken into. However, what the thief apparently didn’t know was that the society had installed CCTV cameras just a month ago. “At sunrise, we called for the CCTV footage,” says Menezes. The CCTV footage showed a young man, neatly dressed in a striped shirt and trousers, enter the building premises at 03:36:23 hours. After roaming around the premises for a few minutes, he left. He returns at 03:46:27 am. Walking casually, the burglar headed straight to the watchman’s cabin. He returns to the main gate within a few seconds and is then seen walking towards the parking area. In about a minute, the anti-theft sirens start blaring, and he can be seem rushing out of the main gate with the stereos at 03:47:57 am. BANGALORE: Pubs, hotels, lodges and other establishments in Bangalore have been ordered to install CCTV cameras. The decision, to be implemented in three of the seven police divisions, is expected to help in crime prevention and detection, and intelligence-gathering. Police commissioner BG Jyothi Prakash Mirji said police have suggested that the government initiate steps for better surveillance of customers and others who frequent these places. Big Brother-style plans to force pubs to install CCTV cameras raise ‘serious privacy concerns’, the surveillance watchdog has warned. Police are telling pubs, clubs, restaurants and off-licences they will not support their licensing applications unless they agree to train the intrusive cameras on their customers. Owners also have to promise to hand over to the police any CCTV footage requested. The blanket policy has been introduced in the London boroughs of Islington and Richmond, where all applicants for permission to sell alcohol are being told they must fit CCTV. Other forces are adopting similar tactics. Martin Reed, a licensing officer for Essex Police, said the force asks that every licensed premises in the county open beyond 11pm should have CCTV cameras that take head shots of customers coming into the building. He explained there should be cameras on all public entrances and exits and all licensed outside areas. A spokesman for Northamptonshire police said that in Northampton town centre they recommend that any licensed premises open after midnight must install CCTV. The Information Commissioner’s office, the UK’s privacy watchdog, said it was seriously concerned by the development. David Smith, the deputy Information Commissioner, said: ‘Hardwiring surveillance into pubs raises serious privacy concerns. Installing surveillance in pubs to combat specific problems of rowdiness and bad behavior may be lawful, but blanket measures where there is no history of criminal activity is likely to breach data protection requirements. The moves came amid renewed concern about the lurch towards a surveillance society under Labour. On Tuesday the Mail revealed how the ex-head of MI5, Dame Stella Rimington, warned that the Government was using the public’s fear of terrorism to try to pass laws which risked turning the UK into a ‘police state’. The Tories tonight backed the Information Commissioner’s concerns about the pub plan. National security spokesman Crispin Blunt said: ‘CCTV can be a useful tool against crime and anti-social behaviour but it is no substitute for having a real police presence on our streets. ‘This Government has sanctioned a massive increase in surveillance over the last decade, at great cost to the taxpayer, without properly assessing either its effectiveness or taking adequate steps to protect the privacy of perfectly innocent people. ‘The police need to be specific about why CCTV is needed in this case. Mumbai: Ever since the Delhi gangrape in December, Dr. Caroline Mathen, a mother of two girls, has felt a need for a pepper spray. The photojournalist's gangrape in Mumbai only strengthened her resolve. Bhandup's Mathen immediately rang up a pepper spray dealer in Andheri and placed an order for a canister. She knows that wielding it requires presence of mind. "I don't know if the sense of security it gives is real," says Mathen. "But it is still something." Several Mumbaikars called up pepper spray dealers within 24 hours of the incident. Indus Cartel in Andheri that sells chilli pepper sprays in the range of Rs 499 to Rs 999, usually gets three to four orders per day. "On Friday, we got ten to 12 orders," said Mathen Mathew, director of the firm. Most inquiries were for standard pepper sprays for Rs 499. Each spray contains a chemical compound that can cause pain and temporary blindness. Dr. Caroline Mathen, who went in for a ca-nister that costs Rs 500, says she plans to give one to her daughter. "It is an investment that could save your life."